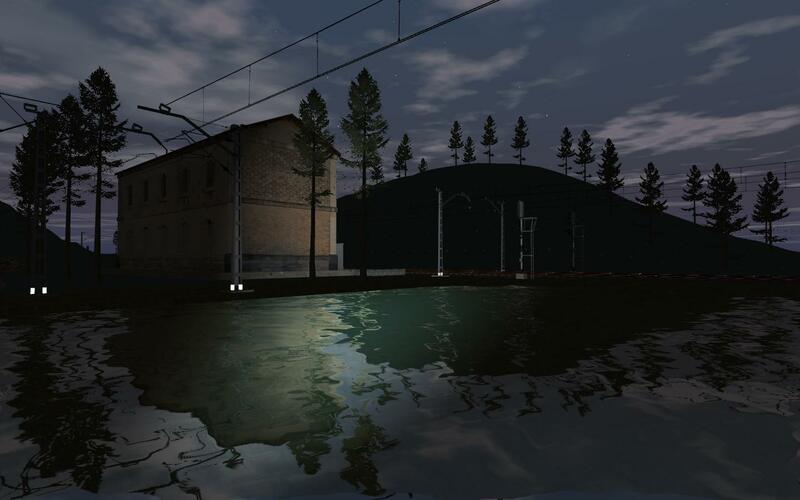 Some days ago, I finished the water system (done in-house) for the simulator project. 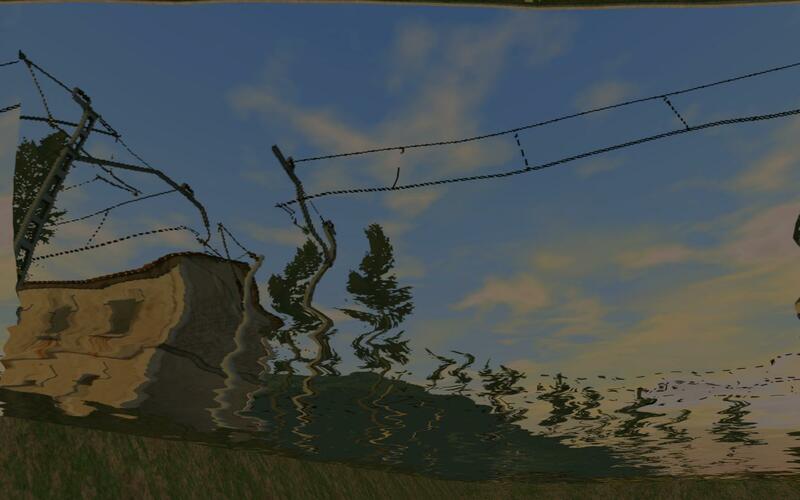 I know this is not too much railroad-related, but it had to be done. This has been the hardest and most time consuming job to date, so I'm very happy to have finished it. 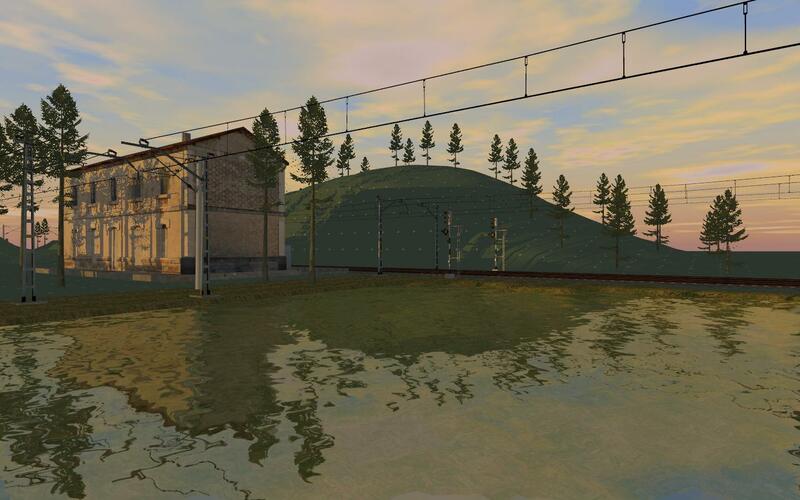 The definitive water system will be used for maritime, lake and river environments. 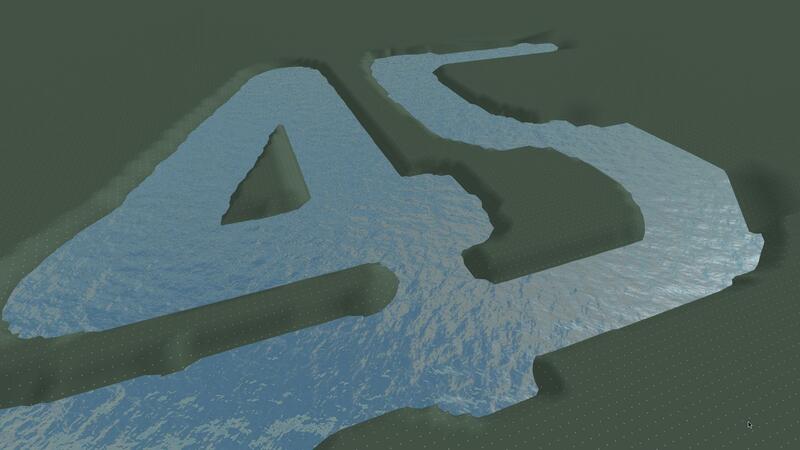 The last one will work when I implement the system of editable splines that will use railways, roads, paths, etc. 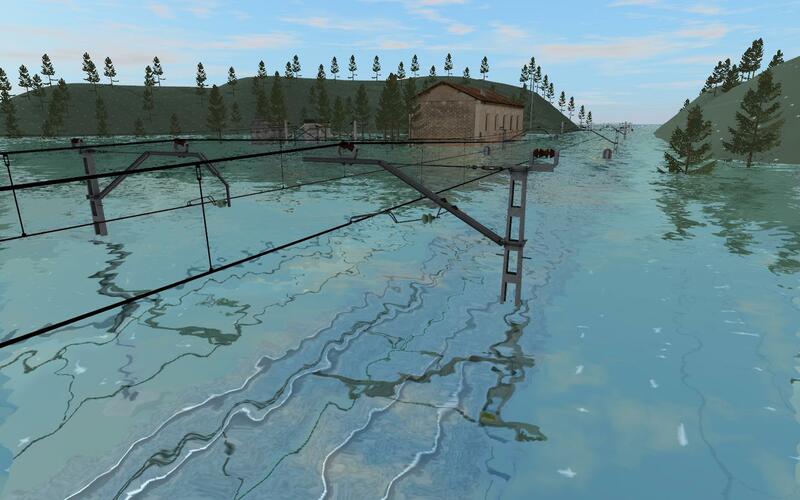 and that will also be used for rivers and water streams. 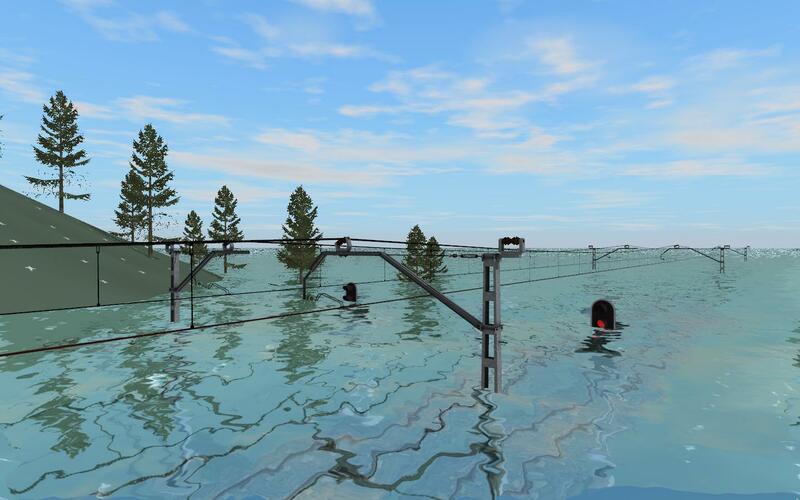 - Dynamic mesh with continuous and deformable LOD (optionally depending on the local graphics capabilities) for great wave length swell (greater than 2.5m). - Length adjustable in real time. - Direction and speed adjustable, for the moment, manually in real time (it's easy to bind to the wind's direction and speed so it corresponds with the meteorological conditions). In rivers, the swell can be directed according to the river's direction, and it's speed and length according to the river's slope. 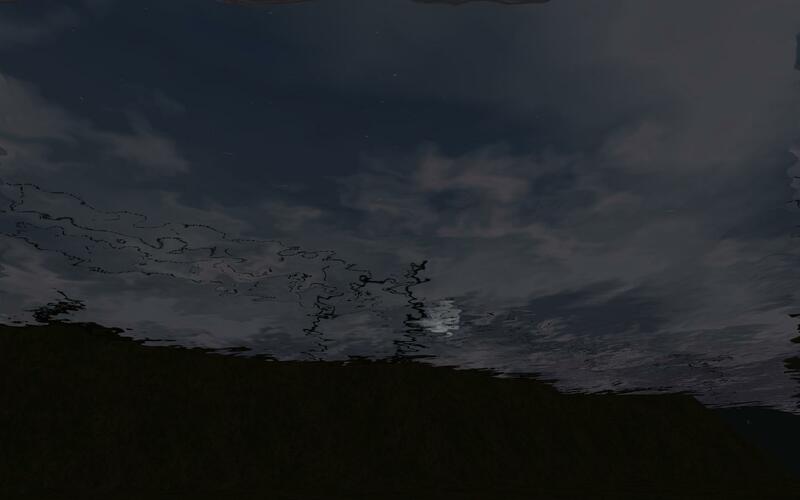 - Water with complete real time scene reflections (optional) and with a configurable reflection and refraction texture. 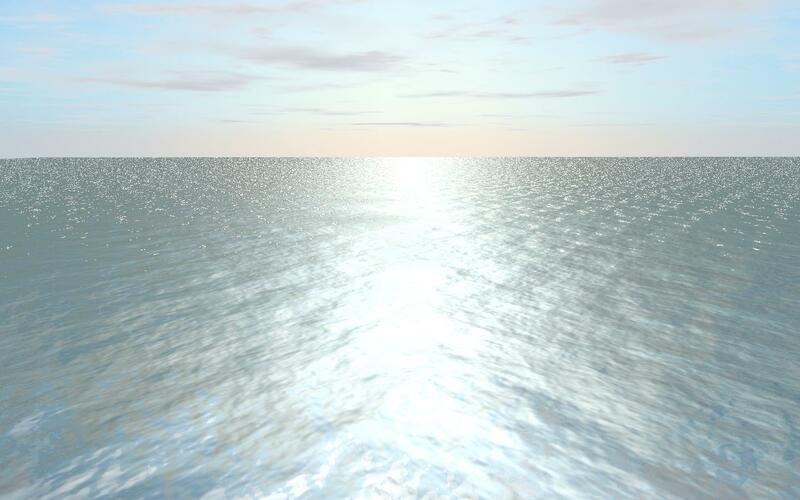 - Distortion of the water's translucent interior vision from outside the water according to Fresnel's Law. 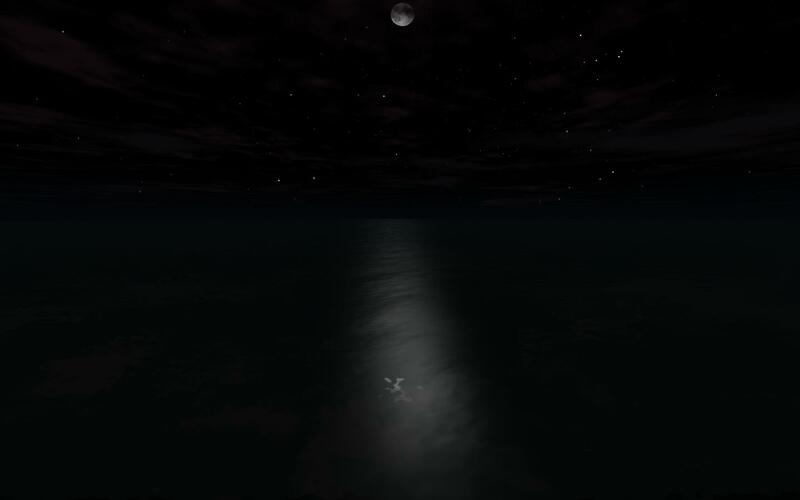 - Distortion of the exterior vision from under the water according to Fresnel's Law. 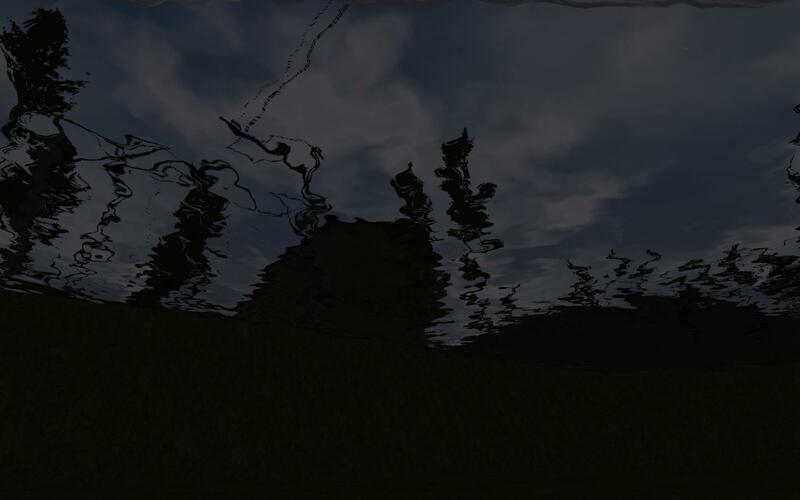 - Distortion of the dynamic shadows projected from outside of the water onto the bottom of it. 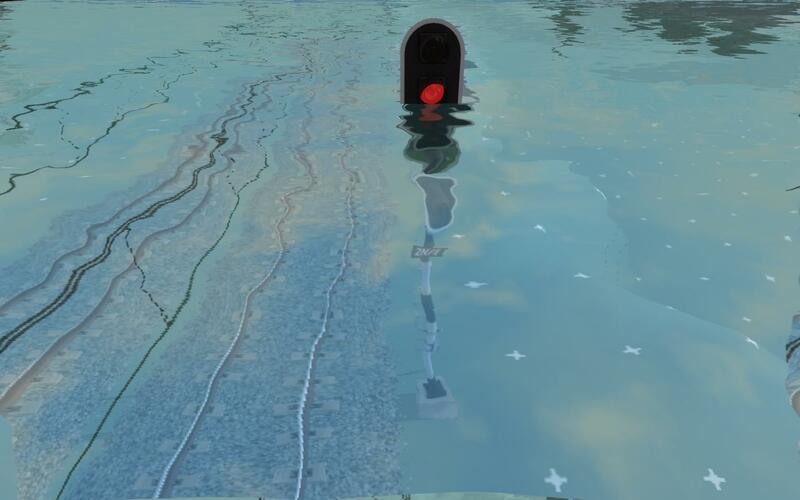 Great flooding of very clean water... reflections can be seen, all the submerged objects and the seabed dynamically distorted by the swell.